The story of an enslaved African Prince, the fight for freedom during the Civil War and the talents of singers and writers are just a few of the exhibits at the Natchez Museum of African American History and Culture. “Visitors will be exposed to numerous examples of triumph over adversity,” museum director Darrell White said. The museum is housed in the city’s historic former United States Post Office that was built circa 1904. Its displays occupy 10,000 square feet of space that showcase events beginning with the incorporation of the City of Natchez in 1716 and leading to present day. The story of the enslaved prince refers to Abdul Rahman Sori, who was captured and sold as a slave in the late 1700s. 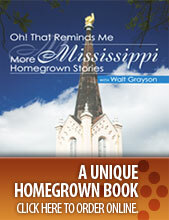 He was bought by a Natchez cotton planter and lived 40 years as a slave before finding freedom and returning to Africa. President John Quincy Adams mandated his freedom. During the 19th century, Natchez had the second largest slave market in the South. One of the museum’s exhibits depicts a place of sale known as The Forks of the Road. The site earned its name because of its location at an intersection of vital streets that led into Natchez from all directions. The Forks of the Road was a popular destination point of caravans filled with slaves, mules and supplies sought by plantation owners. Another exhibit tells the story of a fire in 1940 at the Rhythm Nightclub that killed more than 200 people of African origin. The fire was later written about in a 1958 novel called “The Long Dream.” The author was Natchez native Richard Wright, an African American writer who earned international fame and is featured in one of the exhibits. Elizabeth Taylor Greenfield and classical musician William Grant Still, the “Dean” of American concert music. The museum holds displays about the fight for freedom when newly emancipated men and women flocked to Natchez during the city’s occupation by the Union in 1863. Many of these former slaves joined the war effort and fought for Union control during the Civil War. “Some of these former slaves were able to go back and purchase the plantations where they had formerly been enslaved,” White said. Exhibits also show the Reconstruction Era and include a section about how the Rev. Hiram Rhodes Revels stopped pastoring a church and became the first black man to serve in Congress. He was named U.S. Senator in 1870. 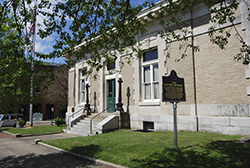 The museum first opened in 1991 as an effort of the Natchez Association for the Preservation of African American Culture. The association explores the societal contributions made by people of African origin and descent. Memberships in the association are available on an annual basis at the rates of $10 per person and $25 per family. The museum serves as a depository of information and artifacts relating to the African American cultural heritage. A $7 donation is suggested for visitor admission. Writer Nancy Jo Maples can be reached at 188 Ernest Pipkins Road, Lucedale, MS 39452 or via email at nancyjomaples@aol.com.